The Solo soap dispenser from Zone Denmark is characterised by its elegant design, which stylishly integrates into any bathroom. Made of porcelain and provided with a soft touch surface, the soap dispenser has a pleasantly soft feel and a luxurious appearance. The noble dispenser can be used not only for soap in the bathroom, but also for washing-up liquid in the kitchen. Thanks to its timeless design, the Solo soap dispenser can be perfectly combined with other bathroom and kitchen accessories from Zone Denmark. 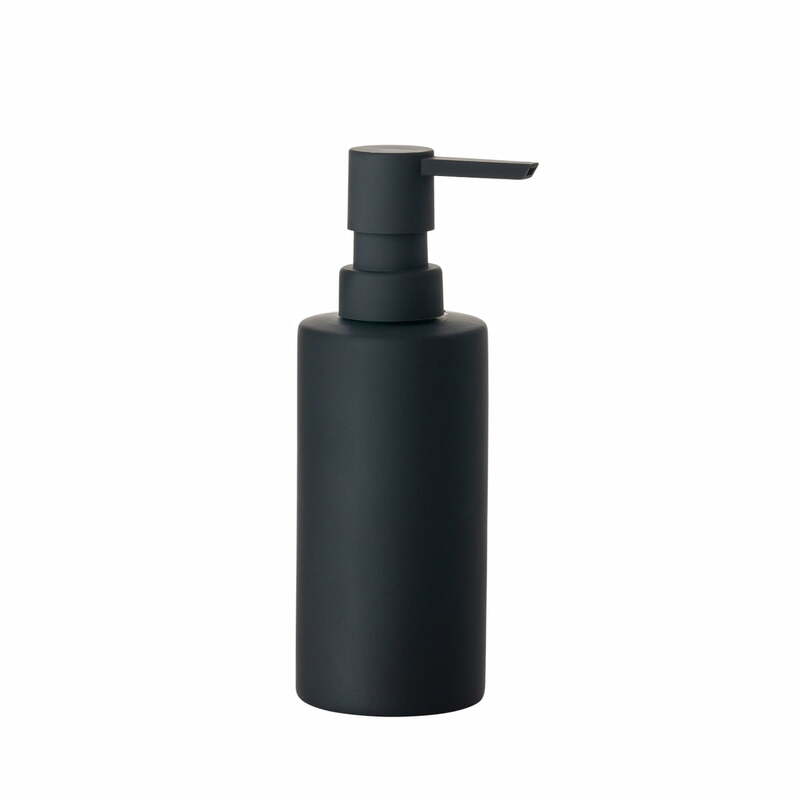 Solo soap dispenser in black matt from Zone Denmark in single image. The Solo soap dispenser from Zone Denmark is characterised by its elegant design, which stylishly integrates into any bathroom. The soap dispenser is made of porcelain with a soft touch surface.